Take Not Troupe will be performing As You Like It, set in 1930's NYC. Visit the great shops and restaurants in Historic Folsom before settling in at the amphitheater. 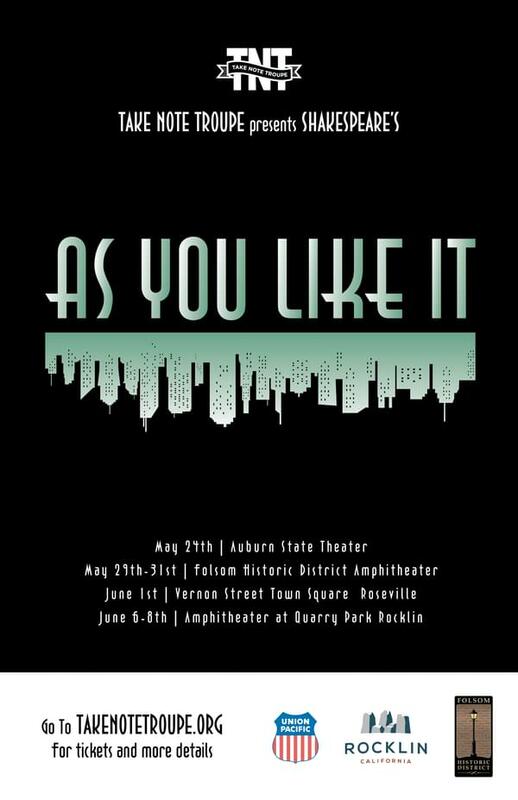 Bring a low backed/beach chair & a picnic and enjoy a lively production of one of Shakespeare's plays. Free to attend. Park at the parking garage at 905 Leidesdorff St and enter the plaza. The amphitheater is just steps away!